Instil Drinks Company, Bibendum PLB’s spirit and beer arm, is set to relaunch with a refreshed portfolio in March. The new range will feature 14 new brands, including three new ciders, a range of artisan gins and an aged rum, alongside its existing partners Estella Galicia, Coopers Ales and Crystal Head Vodka. In October, the drinks business revealed the company was set to triple its portfolio of craft and world spirits, with a range of “eclectic” vodkas, craft rums and artisan gins from the “exciting” UK gin market. Instil’s managing director Mark Johnson said the necessary evolution was a response to the challenge of combining a spirits company with a beer and cider company following last year’s merger of Bibendum and PLB. 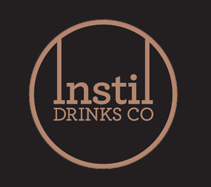 It forms part of Instil’s strategy to reposition itself as a market leader in premium and artisan spirits, world beer and craft cider, and will help boost sales through the premium off-trade, as Instil’s spirits are currently sold almost exclusively into the on-trade. Johnson told db it would provide a “one-stop shop” for all its customers. “What we have now is a brand agency that offers on trend, authentic and distinctive products to fill the gaps where retailers and on-trade outlets need to differentiate themselves from their competitors and meet the increased demand of their customers for something original,” he said. Bibendum PLB md Michael Saunders told db Instil had had a particularly strong year on the back of strong beer sales, a part of the business he had previously underestimated. One area seeing growth is regional beer, and Instil has upped its focus on offering a consolidation service to supply smaller quantities of local, craft beers to retailers on a regional basis, he said.